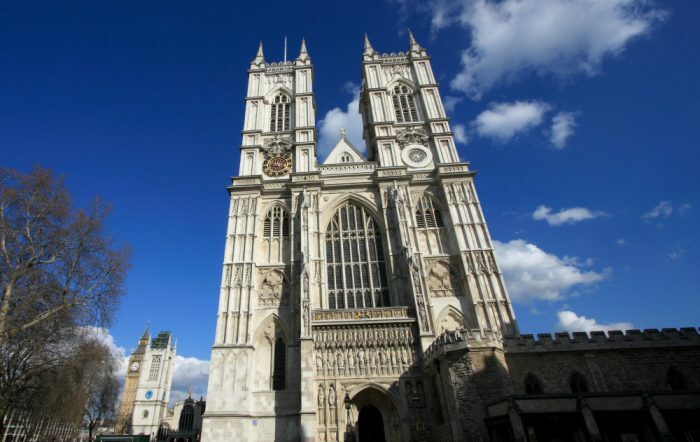 We’ll start with London where you can explore Westminster Abbey to see where Prince William married Kate Middleton in April 2011 and visit the Quire where Arthur Wellesley (first Duke of Wellington) was laid to rest. Watch the Changing of the Guard and have your photo taken outside Buckingham Palace. Cruise down the Thames on a Clipper to Westminster and take a flight on the London Eye enjoying the spectacular views of London. Do you fancy meeting an official Yeoman Warder? You can at the Tower of London and he’ll show you the Crown Jewels too. 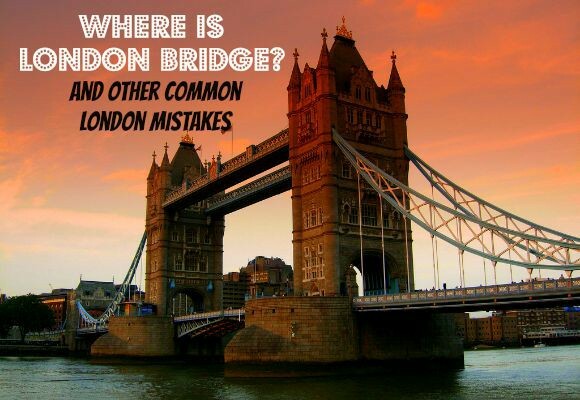 There is so much to see and do in London. On Christmas Eve, London really does sparkle after dark. You can see the majestic buildings of Westminster Abbey, Big Ben, Houses of Parliament, Downing Street, Trafalgar Square, Tower Bridge and St Paul’s Cathedral all aglow and twinkling against the night sky – how beautiful. Windsor is where you’ll find the historic home of Queen Elizabeth II. Visit Windsor Castle where you can enjoy the splendour of her state apartments, see St George’s Chapel and gaze in wonder at the intricate Queen Mary’s Dolls House. A short trip away is Stonehenge. 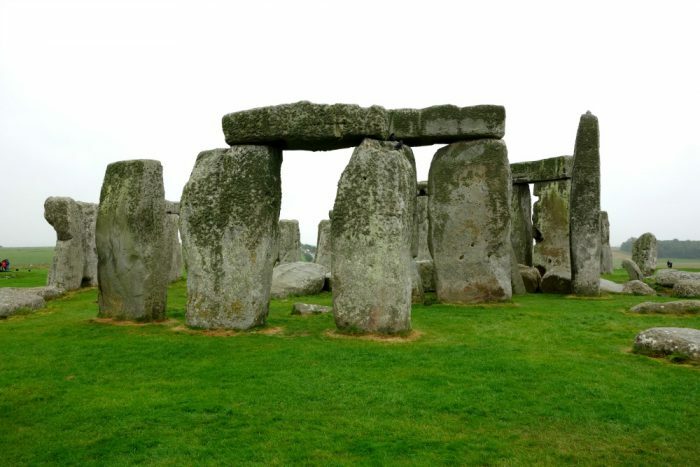 40 tonnes of stone structures, steeped in mythical theories, Stonehenge is not to be missed. The Roman city of Bath has been designated a World Heritage Site and you can visit the archaeological site of the Great Roman Baths. As dusk falls, enjoy the sight of the torch lighting ceremony. The Cotswolds are breathtakingly beautiful with some fantastic countryside. You can take in the beauty of the Saxon village of Burford and visit Burton on the Water, known as “Venice of the Cotswolds” and home to many of this area’s quaint and picturesque features including bridges and its Main Street. Perhaps pay a visit to Bibury – a wonderful row of cottages that have been used in countless films and TV shows, including Bridget Jones’s Diary. Taking a trip to Bath, Stonehenge and Salisbury will provide the opportunity to visit the mystical stones at Stonehenge, enjoy the historical Great Roman Baths as well as the beautiful the city of Salisbury. 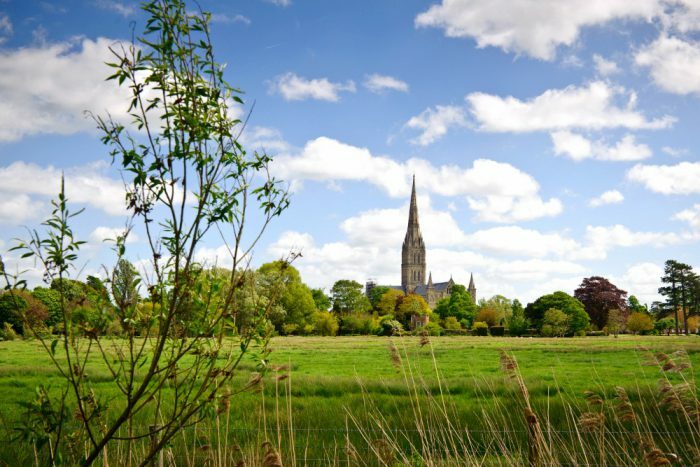 You’ll see the famous Salisbury Cathedral with its breathtakingly high Spire which stands at 404ft, a fantastic example of early English architecture. You can enjoy the sculptured font designed by William Pye which is reminiscent of the style inside Highgrove – Prince Charles’ official residence. Finally you’ll get to view the famous agreement between King John and his Barons at Runneymede – the Magna Carta which you’ll find in the Chapter House. A day of historical delights. We can’t have a top ten without mentioning Oxford. You’ll start with a walking tour, taking in the sights of the opulent Oxford University buildings, visit the Bodleian Library and amble through the delightful courtyards. Are you a Harry Potter fan? You won’t want to miss out on seeing Christ Church where many of the Harry Potter scenes were filmed and you’ll be imagining yourself to be in Hogwarts when you visit the Great Hall on which Hogwarts is based. After a leisurely drive through the Cotswolds, you’ll be in Shakespeare heaven as you arrive in Stratford upon Avon. You’ll visit Shakespeare’s birthplace and gain some great insights into the genius Bard. After a two course lunch the tour moves onto Warwick Castle. Here you’ll be able to participate in a great medieval activity as you try on a battle helmet and feel the immense weight of a battle sword. You’ll also enjoy the sight of grandiose Victorian party preparations. A whole day of unbeatable experiences. 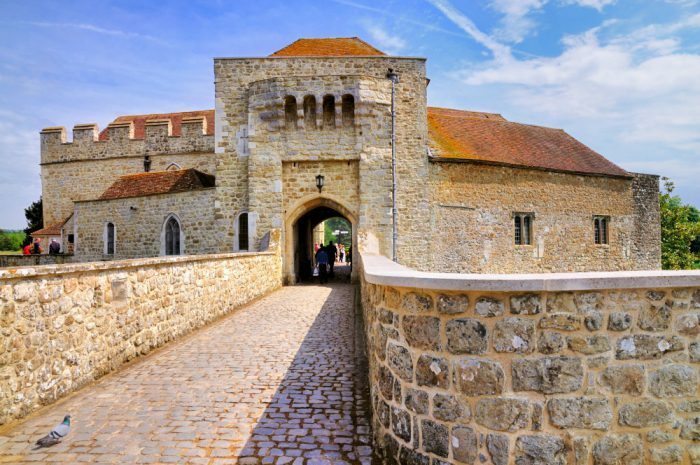 Deep in the Kent countryside is Leeds Castle which is the first port of call for this tour. An early arrival will provide the opportunity for an almost private tour of this glorious castle, described by Lord Conway as the loveliest castle in the world! We can’t really add anything to that accolade. The tour then moves onto Canterbury where you’ll take in the magnificent city known as the centre of Christianity. Your guide will explain how the original church building was rebuilt after Henry VIII ordered it to be destroyed in the 11th century and was restored to this magnificent Cathedral – a World heritage site. 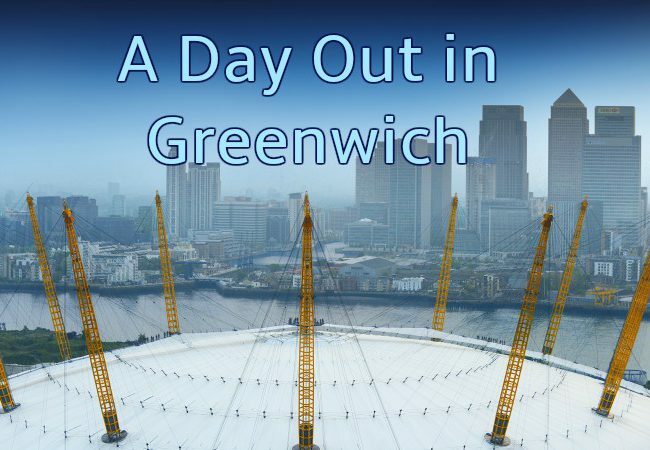 After lunch you’ll be taken to see the White Cliffs of Dover before moving on to Greenwich where the Old Royal Naval College stands to enjoy the fabulous architecture along the waterfront before boarding a Thames River Cruise. Sit back and relax whilst enjoying panoramic views of London before disembarking at Embankment Pier. Hampton Court Palace dates back 600 years and was restored and extended by Henry VII. Look around the stunning state apartments and beautiful gardens. You’ll be a guest at a fascinating re-enactment of the wedding party for Henry VII and his sixth wife, Catherine Parr. That’s certainly not an everyday experience! During the months of April and October you may also be able to take a Horse Drawn tram ride here and enjoy a panoramic view of the grounds. 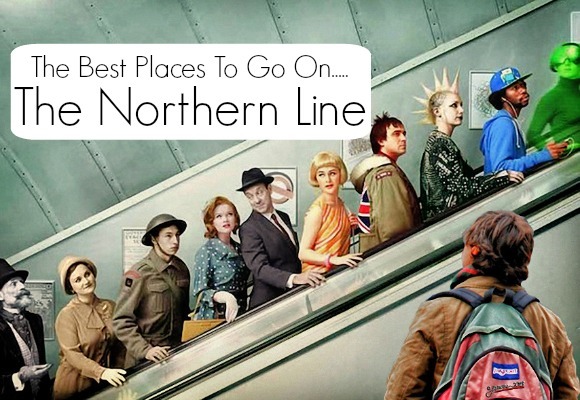 If you would enjoy spending more time in Oxford and visiting Cambridge too, you’ll enjoy this trip. The day begins with the walking tour of Oxford including the visit to Christ Church as described in number 6 but following a delicious and free lunch, you’ll spend the whole afternoon in Cambridge. 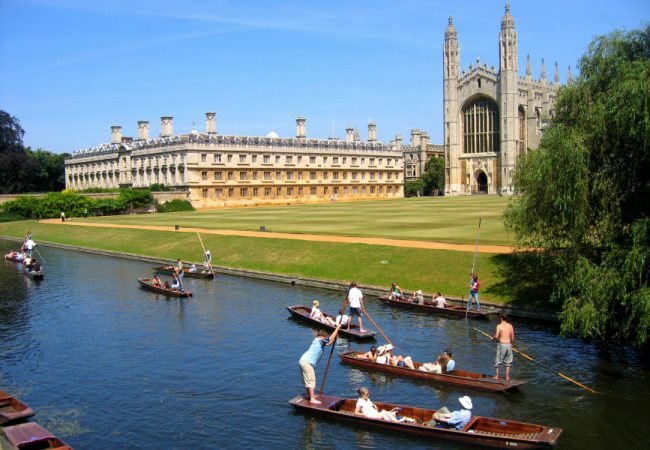 Take a walking tour and see the Cavendish Laboratory, the oldest college – Peterhouse, Kings College Chapel and Cambridge University Library. Ooh la la! 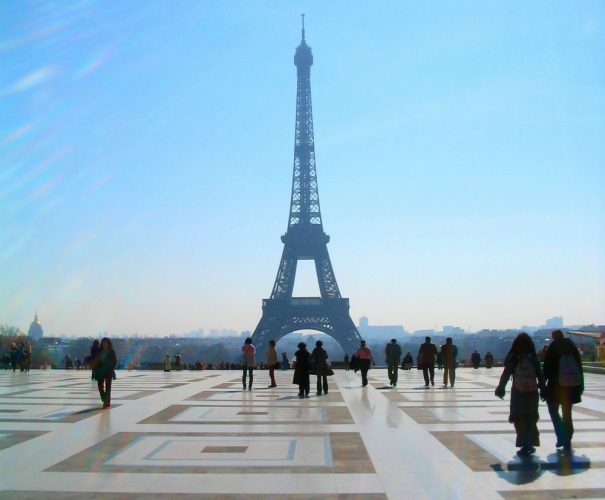 You could take a trip on the Eurostar and experience Paris in a day. On arrival you’ll be given a guided tour of the city before heading to the Eiffel Tower and taking a trip to the second floor giving you the most spectacular views of Paris. When you’ve recovered your land legs, take a cruise on the River Seine and visit The Louvre, before landing back in London on the same day! Where is your dream day trip destination?